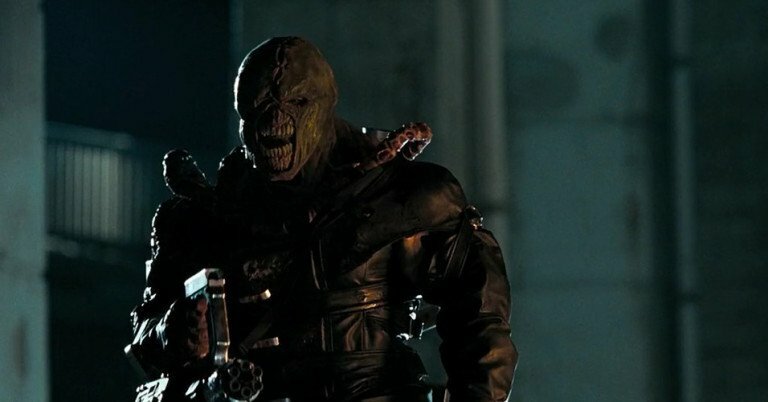 If we can forget that Nemesis was a poorly designed rubber goof in the Resident Evil: Apocalypse movie, we can easily state that he is the apex predator of the series. The follow-up to Resident Evil 2 had quite a few expectations to fill and, for the most part, Resident Evil 3 delivered. While not so much a fan-favorite as RE2, there was a lot to like about RE3. The return of RE‘s Jill Valentine, some new intuitive controls, and, of course, the Nemesis. RE3 marks the first time in the series where you are limited to one character – Jill. Through this, the story is slightly more focused and straightforward – despite the plot being all about Jill trying to leave Raccoon City. RE3 director Kazuhiro Aoyama cleverly sets in pieces of RE2 to make this work as both a prequel and a sequel. If you’ve never played RE2 – shame on you – you would not be able to scout notable tie-ins such as the police station. With a large majority of the building still locked up, Marvin Branagh, the wounded police officer who helps you in the second game, is still unconscious and has yet to give anyone the keycard which unlocks the emergency security system. Where RE3 really shines is in its latest entry of Umbrella Corps. bio-engineered tyrants called Nemesis. The hulking tank brought a new dimension to the series, invoking more cringe-inducing terror and stress than ever. As if zombies and critters jumping through windows weren’t bad enough, now you have to worry about an RPG-wielding maniac busting through a wall and chasing you around the entirety of the immediate environment – and chase is certainly brought to a whole new level indeed. It became a running joke when you would encounter a handful of zombies, but could escape unscathed by simply running into another room. Nemesis, on the other hand, will continue his pursuit no matter what room you run into. At the time, this brought a whole new level of detail in the genre. Knowing that at any given moment he will just appear and will certainly derail whatever key or plot item you’re quested to look for made Nemesis a very intense experience. The gameplay also takes a few different approaches in this game. There will be moments when you encounter Nemesis, or certain plot occasions where you will be prompted to make a decision. It was a great alteration to the series, as it added new layers and weight for the player. Another addition to the gameplay came in the form of control although as minute as it sounds, is having the ability to turn a full 180 degrees – yes you read that correctly. Resident Evil quintessentially coined the term survival-horror, and survival certainly predicates the genre. There will be times – if not numerous times, you will run out of ammo. When those moments used to occur, you would have to make your character turn in the slowest fashion imaginable to make a run for the door and to safety. It was those moments back then that would pull the player away from the action. With the addition of the quick-turn ability- which was actually first introduced in Capcom’ Dino Crisis game – it gave the player the chance to just cap a few zombies and dash creating more seamless and dynamic gameplay. The level design of RE3 is grand, if not grander than RE2. A lot of the setting and scenery take place in the open air of the city and a few other places around the vicinity. 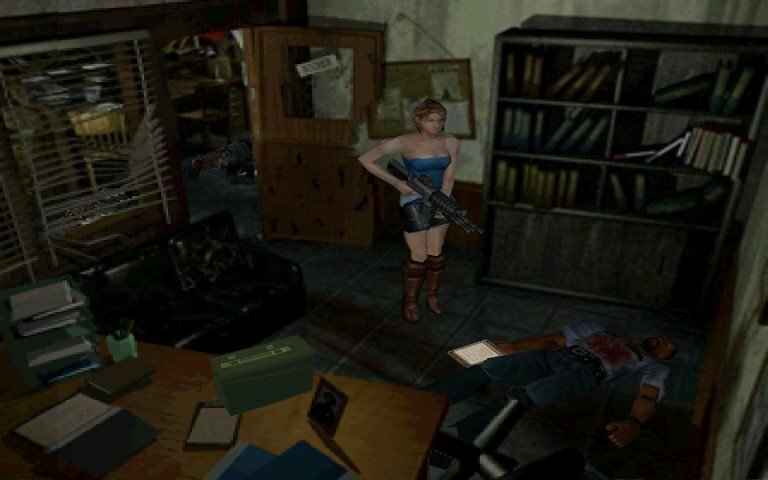 RE and RE2 mostly took place indoors, and those settings helped create unique moods especially when it is all about tight corridors adding a more claustrophobic feel. Aoyama definitely went with a bigger setting and atmosphere in the follow-up. The game takes you through a police station, a hospital, a local newspaper office, a clock tower and a factory. More often than not, though, people tend to forget the scope and grandeur of RE3. Not to mention you can only kill Nemesis with a Rail-Gun at the end…Spoilers. Resident Evil 3 is the pinnacle of the series and the last of old-school survival-horror. It took everything that it did so well in the previous titles and made it bigger and better. Nemesis encapsulated fear and dread in ways rarely experienced at the time. The scene where he popped through a window and chased players through the police station has always remained a nostalgic moment, much like anything that comes through a window in the RE series. In fact, a bit of advice for anyone playing the first-gen of RE titles: beware of windows. I try to string phrases and words together both on podcasts and articles. Talked and covered local politics on CKUT 90.3 FM Montreal for 4 years, Founded the FTW! Gaming Podcast. I dive into a plethora of video games, so can't tell you my favourite game of all-time is. Most likely known to slap the next person that says Final Fantasy XV isn't coming in 2016. "If I offended you, you needed it."